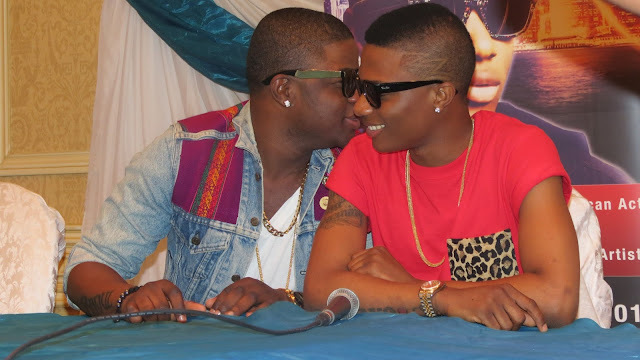 We all understand how some fans can seek for troubles, especially with our celebrities. 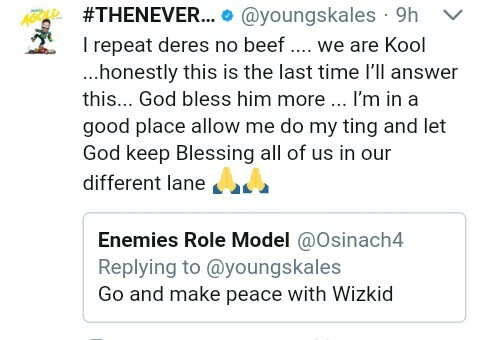 A fan on Twitter asked Skales to go make peace with Wizkid and Skales replied him saying there is no beef between the 2 young celebrities. Each of them is in their league and they are doing well. 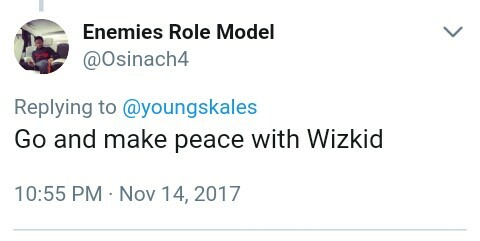 Well we don't think Wizkid will have any response as regards this.